Hi everyone! I am thrilled to be here collaborating with the talented teachers at Adventures in Literacy Land! It is such a fun journey we are embarking on and I am excited that you are joining us! First, a bit about me. 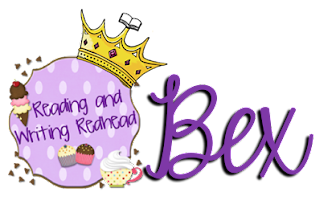 I'm Bex from Reading and Writing Redhead. I grew up in New England and after college went straight to Lesley College to get my M.Ed because I wanted to teach elementary school. Soon afterwards, I began teaching second grade. I love it but have always been an avid reader and had the idea of becoming a reading teacher in the back of my mind so a few years ago I began a program and got my M.Ed in the reading specialist program. I am looking forward to becoming a reading specialist or literacy coach. For now I am delighted to be able to use what I have learned to improve my teaching and help my second grade students. As a member of the teaching team, I also bring my skills and knowledge to the table when we collaborate, which I hope also benefits other teachers who read these blogs. Today I want to share some ideas with you about fluency. Teaching children to read can be a challenge! Once they start to get the gist, I start to think of what to do to encourage them to read with expression. It seems like some students just are naturally good at it but others needs more specific guidance than just my first strategy of teacher modeling. There are a few things I have tried that really help students learn to become better at reading with expression. I was discussing repeated reading with a colleague recently. Repeated reading of short stories and short non-fiction articles is terrific for fluency in general, as is rereading phrases, but working on phrases, especially those that go from one word, to two, to three, until the full phrase is great. It gives students opportunities to try different voicing. 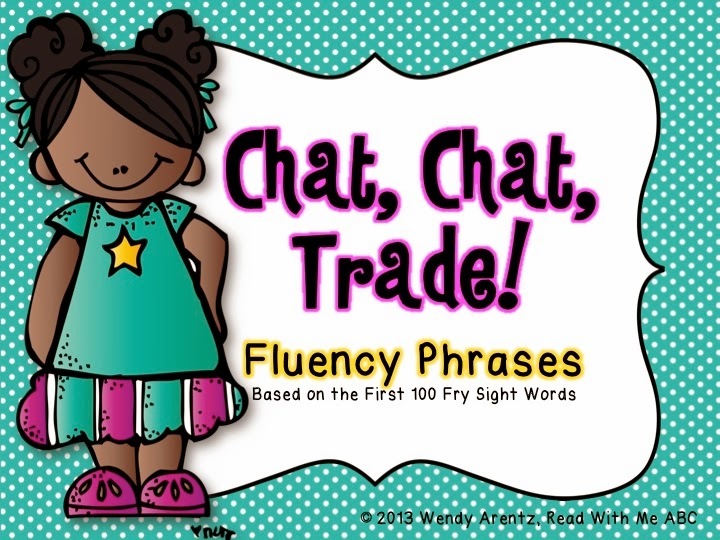 I found that the Florida Center for Reading Research (FCRR) website has some terrific resources in this area and I am using their phrases for my fluency partners right now. We are only using the single phrases, like here (pages 20-24), but I have uses the repeated phrases like above in small groups with success. A link to their Fluent Phrasing which I use is here, on pages 1-7. Perhaps one of the best ways to improve student's use of expression when reading is to start at zero on how emotion is expressed in dialogue. 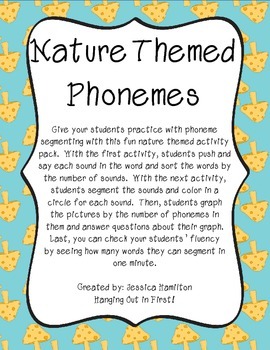 A simple way you can work on this is to come up with a bunch of situations that students could act out in front of the class or in a small group. You could either wing it or write them down on index cards in advance - perhaps even on Popsicle sticks and have students draw them at random when you have 3 minutes to spare. For example, a situation might be: "You think your brother stole your diary and are going to accuse him". Ask the students what you would say (maybe "You stole my diary! ", "I know you took it! ", or "Don't lie!" ) and ask for volunteers to play the kid and the brother in a brief skit. Really encourage the students to imagine what they would sound like in real life and use that to put some emotion and expression into their voice. I can imagine maybe an example with you showing how it would sound with no expression would have an impact, too. Here is a cool resource with little mini lessons by Nora Zabst (click here). She states that the goal for students is to work on "using different strategies to read texts with dialogue with expression and prosody". It is broken down into sections: Read fluently by noticing dialogue, understand different ways dialogue can be written, read dialogue by using dialogue tags and more. Each includes kid-friendly videos that you can show to your students. Somewhat related to the last idea is Reader's Theater. When you use reader's theater scripts, students are encouraged to use pausing, intonation, and inflection and to read with expression. I found this is one of my favorite activities to do in RTI Tier 1 with all of my reading groups. There are so many great free resources out there that it makes it easy to implement and easy to differentiate. Little tip: To prevent arguments over who gets what part or having to decide myself, I take the littlest sticky notes, write parts on them, fold them in half, drop them in a plastic bag, and have students pick them randomly. Then I attach the bag to the scripts for the next time. If I have forgotten to do this in advance, I sometimes write each part on a small index card, fan them out upside down like playing cards and have students pick one. Reading (and writing poetry) is one of my all time favorite things to do with students. It is so rich with opportunities. When reading poems like those of Shel Silverstein or Jack Prelutsky, it can seem easier for students to use expressions. Rather than rephrase what someone else has explained well, check out this great resource from the site Poetry Teachers (click here). It has a terrific short poem ( I think short poems are great to start with when working on using expression- start short and work on longer poems over time) and discusses varying pitch, volume, rate, and what words could be emphasized. 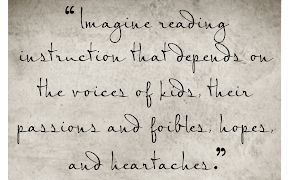 What are your favorite ways of helping students learn to read with expression? Text Tracking Tools for Guided Reading! I'm Jenny from Luckeyfrog's Lilypad and I am so thrilled to be posting here on Adventures in Literacy Land for the first time on my own! A couple of weeks ago, my second grade group and I started a strong focus on fluency. You can read more about how I introduce fluency to my students (and how to get these bookmarks for free) here. One of the things that I notice them doing is pointing under each word, but one. at. a. time. I tell them when they move their fingers like robots, it's no wonder they read like robots! I encourage my students to move their fingers smoothly to read smoothly. Moving your finger under the words isn't exactly something my second graders love to do, though... so I like to make it more fun! I have a collection of special text pointers in my room- and they were ALL purchased for under $5. My students have also loved these tiny finger puppets, which I found at the Target Dollar Spot! Far and above, though, my students' favorite tools for tracking text are the finger lights. I originally found these at Half Price Books, but I just found them at REI today and they can be ordered on Amazon, too! The little elastic strap fits around your finger, and you can point a light at the words. They come in red, blue, green, and white. These are fun in any context- but if you let students go under a table or even turn out the lights to read with these, you will quickly become "the coolest teacher ever"- and your kids are forced to track smoothly with the lights, too! With my older students, of course, I don't typically encourage students to track with their fingers or other tools... but for those who struggle with fluency or moving through the word to check all of the sounds, these special text tracking tools have really helped my students- and they LOVE when they get to use them, too! Do you have any special tools that your guided reading groups LOVE getting to use? 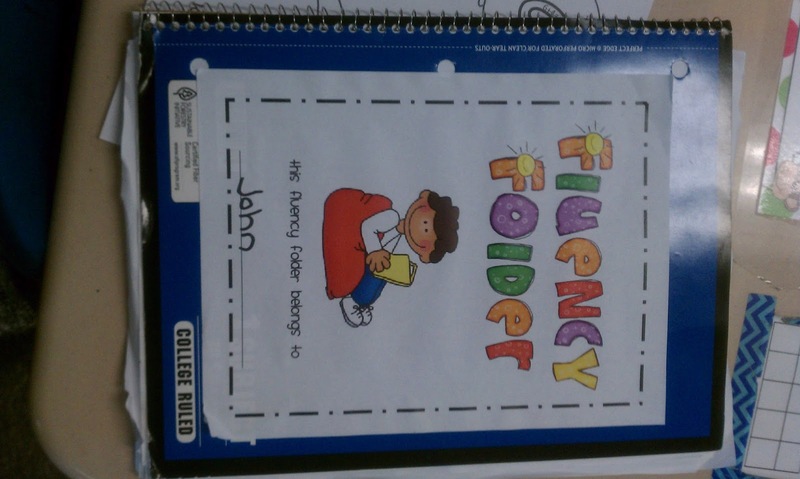 Fluency Folders for the Little Ones! Hello all! It is so nice to visit with you today here in Literacy Land! 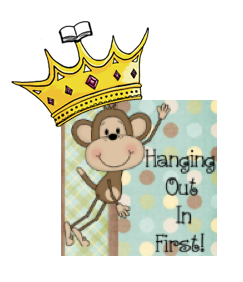 I am Jessica from Hanging Out in First and I am here to share with you some fluency strategies! 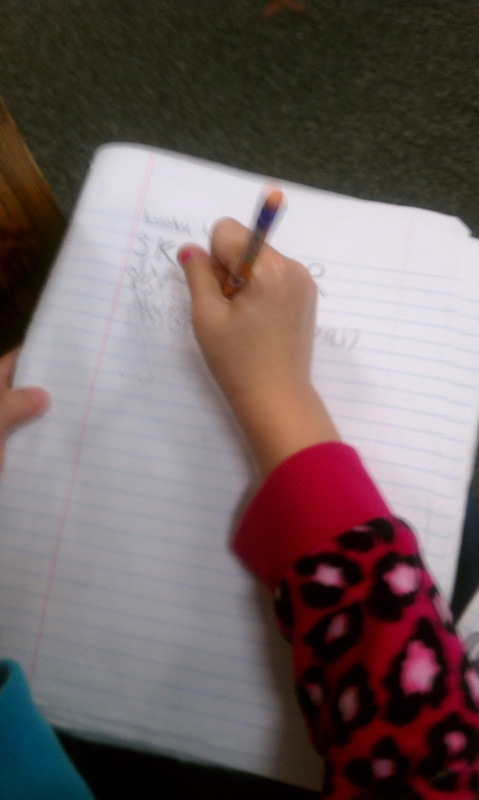 Fluency is such a difficult task for first grade. Personally, I find it one of the most difficult concepts to teach at this level and it is becoming such a high priority with DIBELS and AIMs Web testing. I have never fully understood how a child is supposed to be a fluent reader before they have actually become a reader. But I suppose, it isn't really being a fluent reader; it is being fluent with reading skills. When I think of fluency, I think of all of those wonderful things I learned at the Timothy Rasinski workshop I attended a few years back. You know, Reader's Theater, incorporating poetry and nursery rhymes, practice, practice, practice! Using strategies to build expression, prosody, and automaticity. These are all so many great strategies. Implementing them in first grade, however, is difficult. I decided to look at it a little differently. 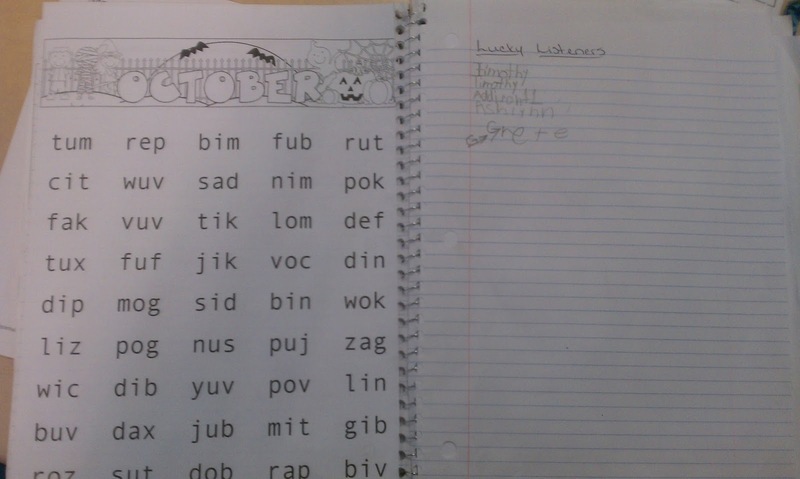 I have been doing some research on fluency folders and decided to adapt it some to fit my own students. First of all, I used spiral notebooks. Personally, I do not like spiral notebooks because firsties ALWAYS lose the pages out of them. But, one of our local stores donated hundreds of them to our school, so I will take free any day! 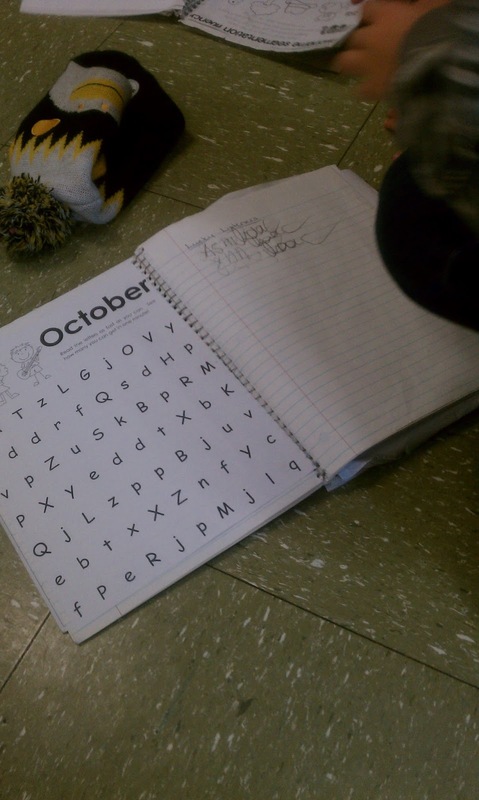 Each student has their own notebook and each month or so, we glue new pages into our notebook to practice. 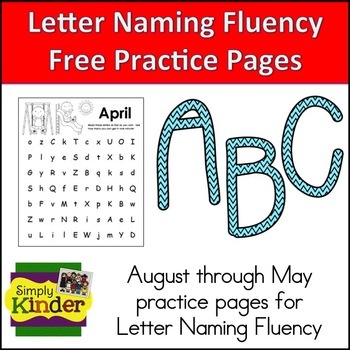 For my lower students, I have them focusing on letter naming, letter sounds, and phoneme segmentation. Now that it is the middle of the year, I have also added nonsense words and short rhymes and poems. 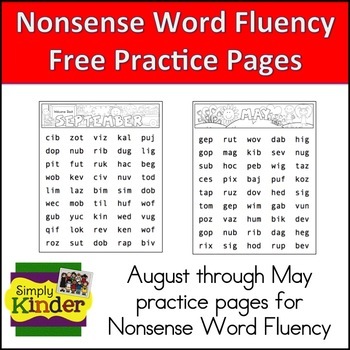 I found these fantastic resources for FREE from Simply Kinder! 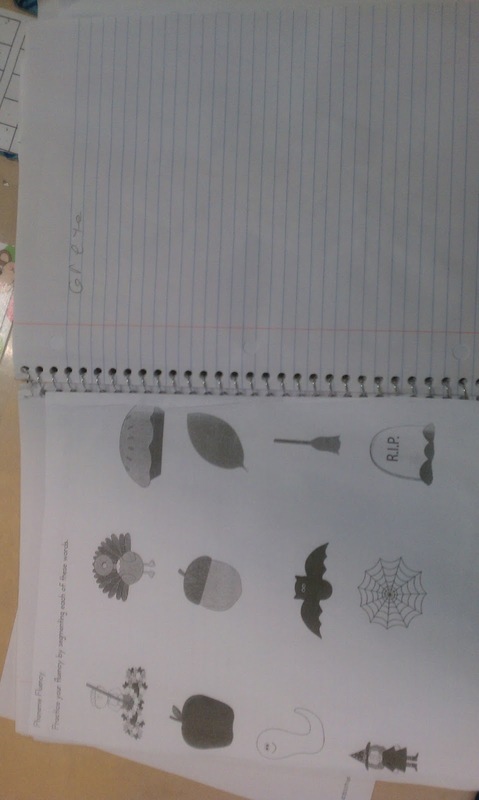 For the phoneme segmentation, I created my own fluency pages. You can find a sample of one with this freebie! My average and high students have been working on phonemic segmentation (even great readers can still use practice with this skill), nonsense words, and short stories. My school has a set of fluency passages that I make copies of for the stories. As my students have become better and better with this, I decided to also add their individual sight word lists and even ADDITION facts!! I love combining curriculum! You can see in the picture that when we glue in the page, the next page becomes our Lucky Listener's Club (totally a Timothy Rasinski steal! hehe). Each time that a student reads their page to a friend, the friend becomes a member of the Lucky Listener's Club (and I let them read to the same friend more than once if they like). 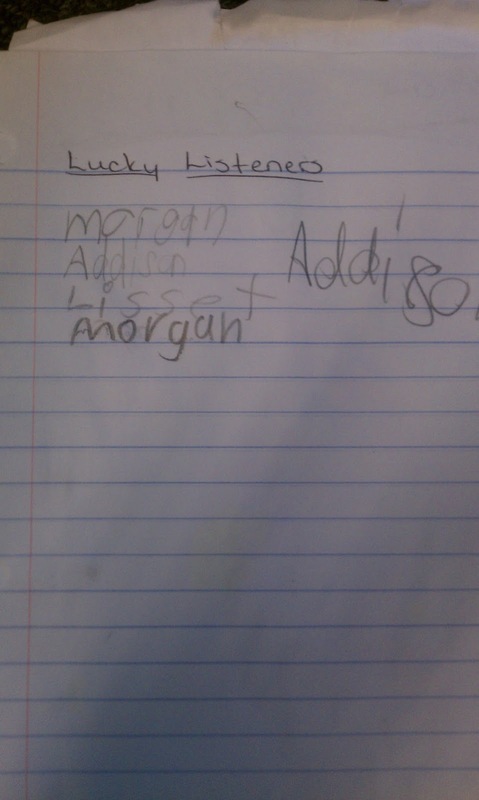 They love seeing how many names they can get on each page! At this point, I do not have students track one another's progress or time each other. I don't know how accurate it would be for first grade, and I am afraid (especially this year) that it would just turn into a silly game. My biggest focus with this is merely to get them to practice, practice, practice! After all, that is what makes great readers! And you know what? They LOVE it! This is one of their favorite centers in our class. Every few weeks I will assess each student on their progress so that I can track their growth. And the thing I love the most about this? 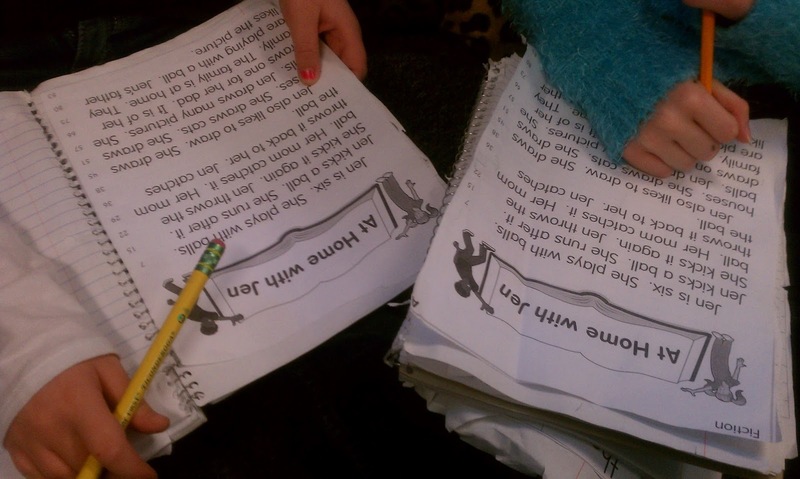 I can differentiate their folders merely by changing the pages that go in them and the kids don't even realize it! In their minds, they are all doing the same activity! So, do you have any strategies that you love for teaching fluency to the little guys? This week, Jan. 6th - 10th EVERY follower is a WINNER! Blog Launch Exclusive Freebie Prize Pack! Hi friends! I'm Wendy from Read With Me ABC. I'm a first grade teacher turned reading specialist. While I loved my experience as a classroom teacher, I'm thrilled with my role as a reading specialist. I spend my workdays doing what I love best, teaching children to read. 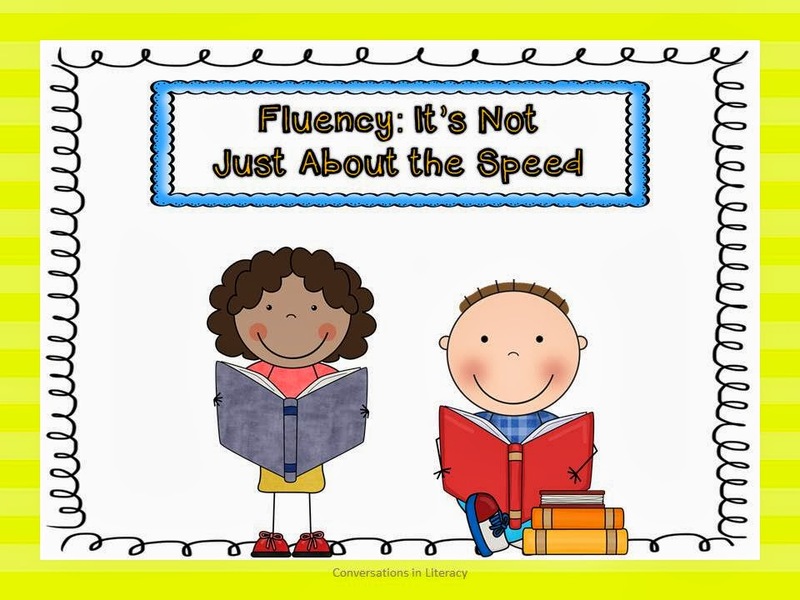 An important component of reading instruction is fluency, or the ability to read with speed, accuracy, and proper expression. 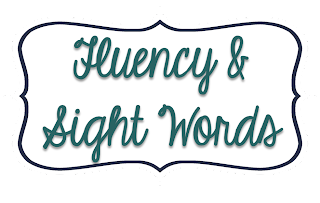 We can improve students' ability to read fluently by providing them with opportunities to practice reading sight words for automaticity. 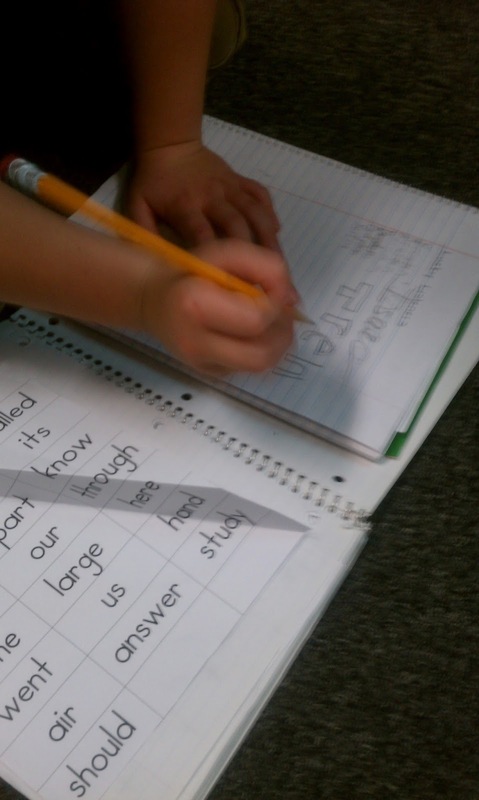 Students can practice sight words individually or in phrases. By practicing sight words in phrases and short sentences, the reader is able to create meaning from the words in context and use expression. 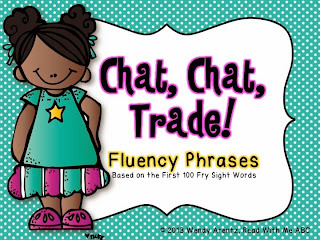 I created an activity, Chat, Chat, Trade: Fluency Phrases, to share with our new Literacy Land followers. This activity will get students up and moving while practicing their sight word phrases. It uses words from the First 100 Fry Sight Words and is inspired by the research of Edward Fry and Timothy Rasinski. I hope you'll enjoy using these fluency phrases with your students! Hi everyone! I am Jennie from JD's Rockin' Readers. I taught First Grade Reading Recovery/Title I Reading for the past 11 years and currently made a change to a regular First Grade teacher. I am very excited to be a part of this new literacy blog. We would love to have you follow us on this journey as we will share our literacy knowledge with you. 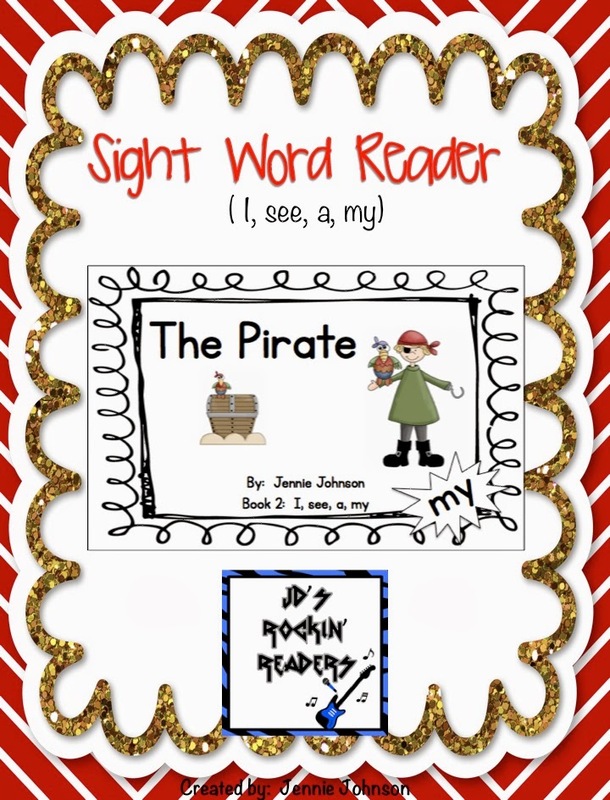 I have included a Sight Word Beginning Reader for you today. 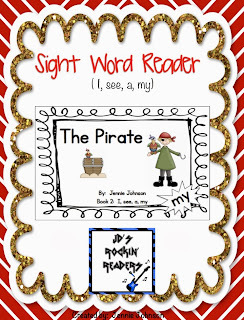 This reader is called The Pirate and focuses on the sight words I, see, a, and my. It is very imperative that beginning readers collect a good number of sight words that they know how to read quickly. This sight word reader is a little different than most you might see. Many early readers have a patterned text (which I do agree is a needed skill for beginning readers). However, what I do find is that many students learn the pattern of the text and then they don't focus on looking at the words. 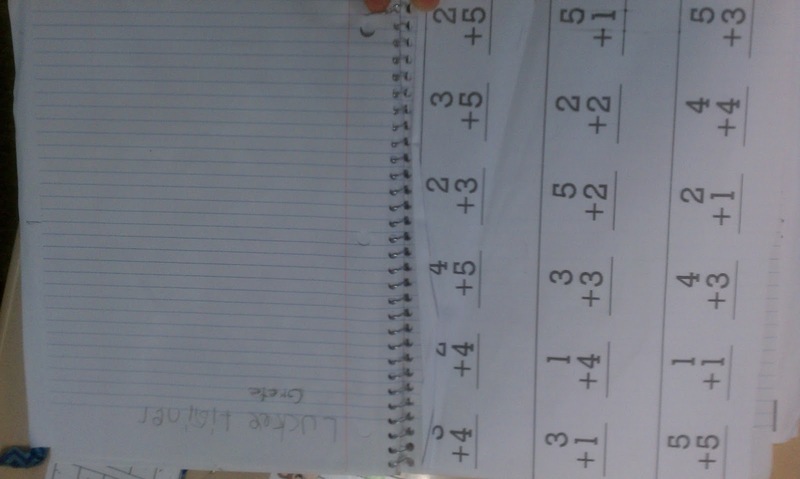 This reader uses sight words but the pattern changes. 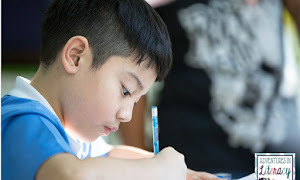 Students learn how to self-monitor their reading right from the start and learn that it is important to look at the words all of the time. 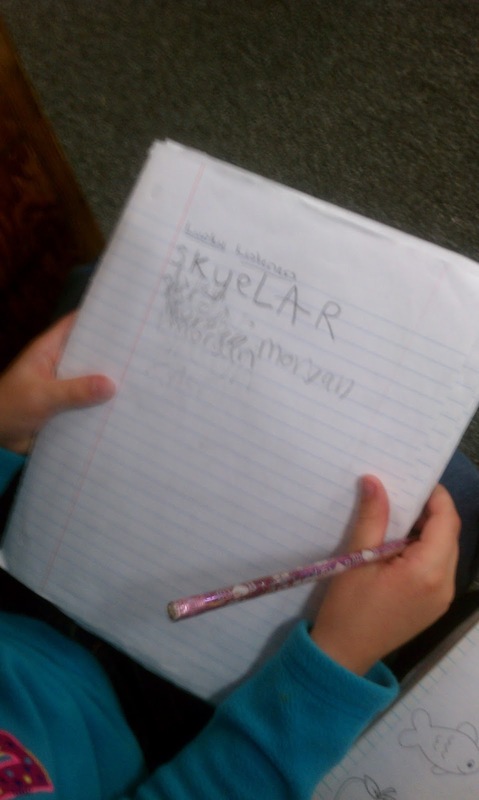 The book also allows students to practice writing the sight word "my" into their own book. I hope you are able to use this book with your beginning readers! Happy New Year! Welcome to Literacy Land! 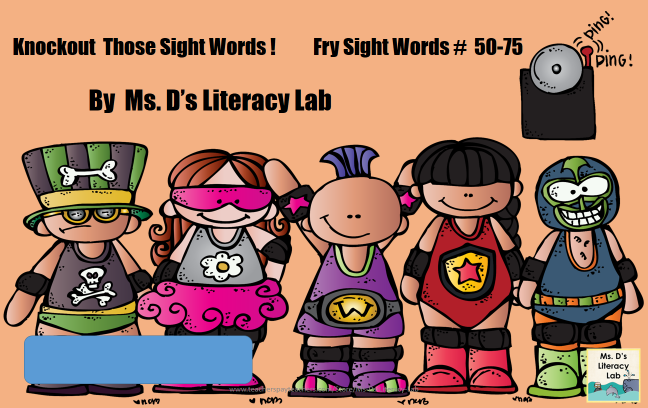 I am Wendy D. from Ms. D’s Literacy Lab. In the past, I taught Head Start, Pre-Kindergarten, Kindergarten, First Grade and implemented Literacy Coaching within classrooms. Currently, I have been a K-5 Reading Specialist for thirteen years in Boston, MA. 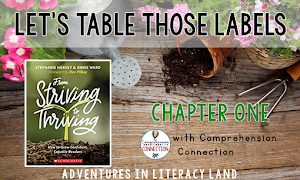 I am very excited to be a part of this new literacy blog! It is very important that beginning readers collect a set of sight words that they can read quickly. Sight words help a reader to self-monitor and cross-check when they are reading emergent and fluent texts. In addition, a lack of sight words may be a reason that readers plateau and seem to make slow progress. Games are one of the ways that I create fast, fun repetition and learning with my students! My exclusive freebie for you is Knock Out Those Sight Words! Fluency: It's Not Just About Speed! We all know what a fluent reader sounds like. They sound smooth and automatic with the delivery of their words. The speed of their reading changes, speeding up at times and slowing down at the right time. The fluent reader also uses a variety of expressions to convey the feelings of the character. Fluency is all three areas working together to promote the comprehension of the text. Although it takes all 3 of these components to make a fluent reader, sometimes we get too concentrated on speed. But just teaching a student to read fast or as fast as they can does not help with comprehension. In fact, it can be a deterrent. Students need to know this too. Model for your students a good example and a poor example of each of the 3 areas of fluency. It helps them to hear and see both good and poor models of each fluency area. Students benefit from concrete examples! 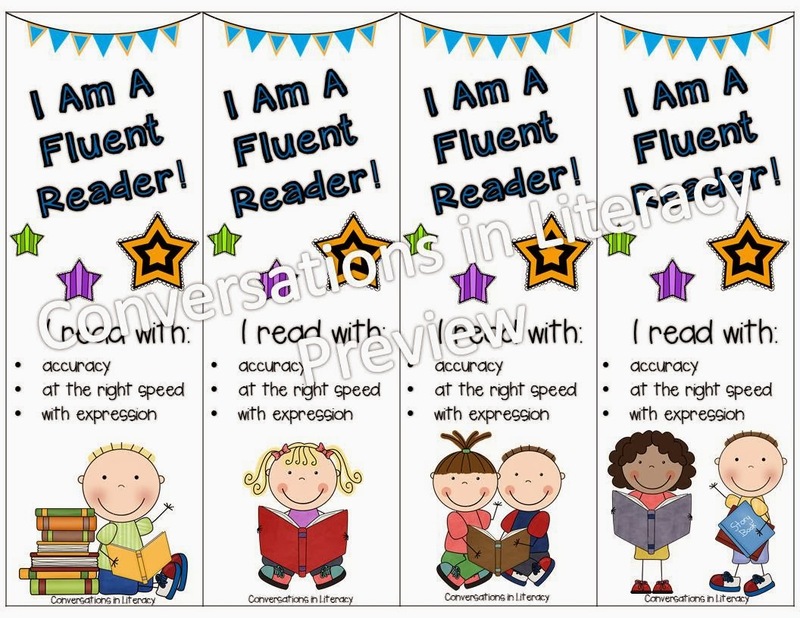 After teaching students about the 3 areas of fluency, give them fluency bookmarks to help them to remember to work on their fluency as they practice reading. to win one of the 4 Grand Prizes.